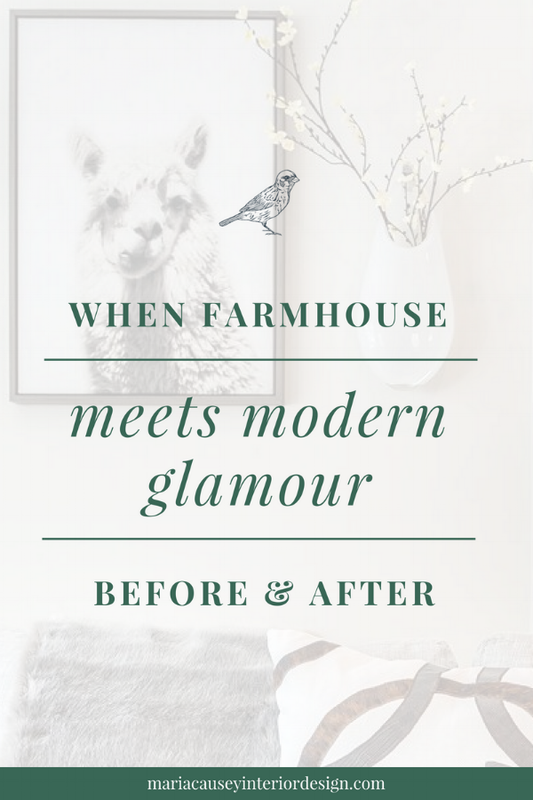 We did just that, but her newly designed custom home is anything but “farm-y.” Take a look at our rendition of Modern Farmhouse Glam to see for yourself. Ground had just broken on our client’s custom home when she asked us to help furnish the entire interior and exterior. As a business executive with little time to spare, she wanted her home to be a place to relax and unwind without having too much upkeep. 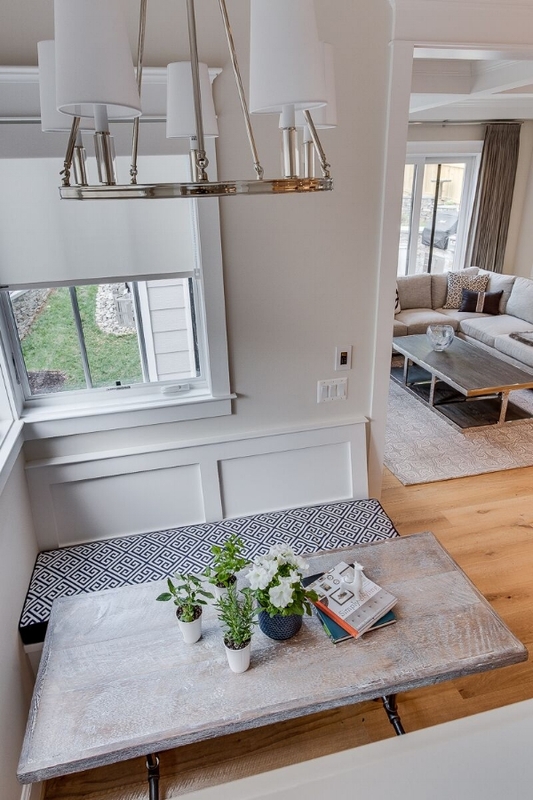 Because we were brought in early, we were able to collaborate with the builder and in-house designer on the palette, materials selections, and finishes that would create the perfect space for her tastes and lifestyle. A look at our guiding inspiration… cows! Don’t worry, we made sure to get a little piggy in here! "I CAN'T BELIEVE IT!! Never would I have thought to do this. What does this room get exactly right? We chose a modern-style table with beautiful natural wood finish. This photo and its polished chrome frame epitomized our goal for the space — elevating farmhouse to fabulous! This is a great view of the faux lizard skin wallpaper, too. This beautiful family room upholds all the themes we’ve incorporated throughout the rest of the house… and still looks like a completely different space! You’ll notice that we kept the coffee table relatively clear and that most of the furnishings — sofa, art, plants, and cabinets — hug the perimeter. This keeps the area feeling more open and spacious. This framed llama photo made our client’s day when she saw it. It’s exactly the touch of whimsy we like to add to our designs — something a little crafty, creative, and unexpected to keep the space from taking itself too seriously! There you have it! Farmhouse style meets modern glamour. Our client was thrilled, and we had far too much fun in the process. 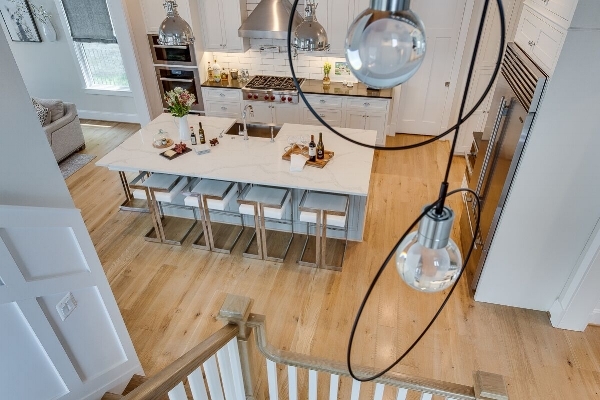 Ready to take on your home design project? Let Maria Causey Interior Design bring your vision to life! To receive more information or a proposal for your next project, contact us today.